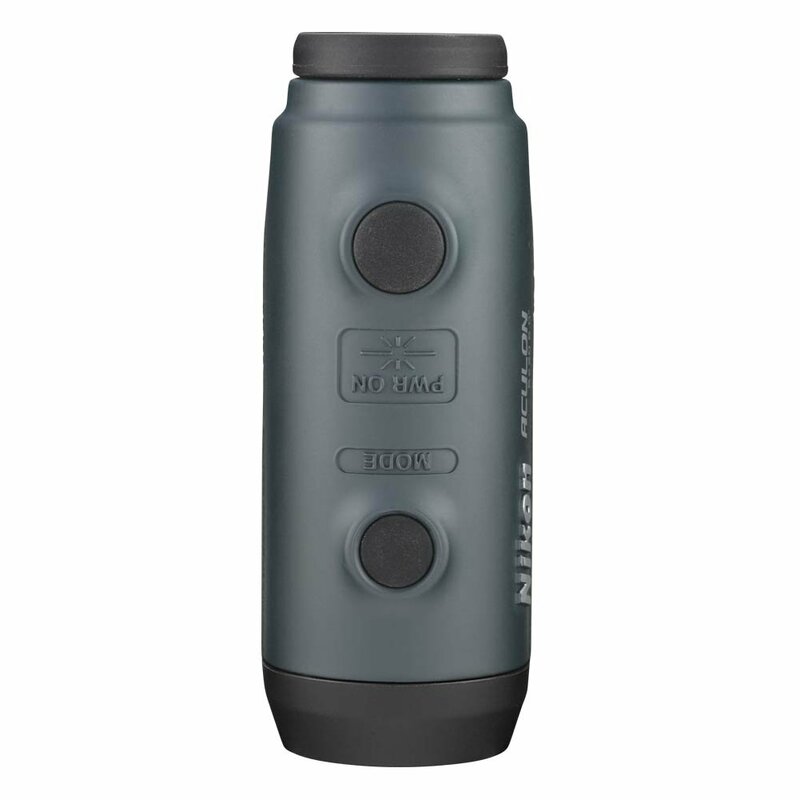 Rangefinders are surely one of the useful tools when it comes to hunting. You can also use them to practice shooting. However, these are often designed in a specific way to serve only one purpose when it comes to field work. So, not all rangefinders are best suitable for your pro hunting sessions. 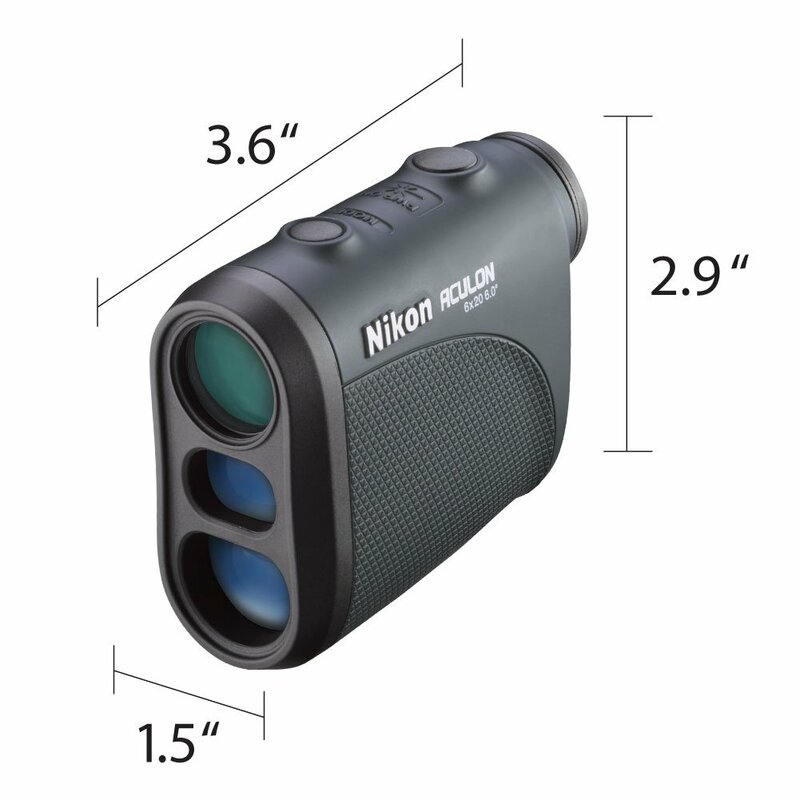 Good rangefinders for hunting will let you ignore any unnecessary objects during a hunt, such as trees or branches. You’ll be able to focus solely on your pray, which is typically your primary target. Even though these are available in more high-end optics, budget-oriented rangefinders don’t always include it. 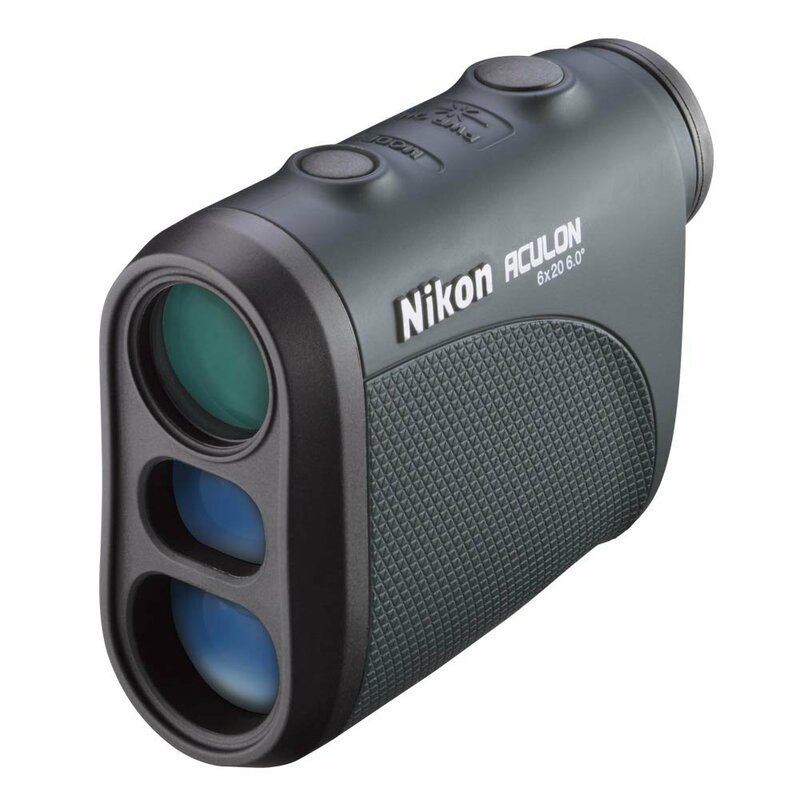 However, Nikon Aculon rangefinder is one of the budget-friendly options for hunting. But can it satisfy all your hunting requirements? I’ll be dissecting every feature on this Nikon Aculon rangefinder review guide. So, just sit back and enjoy the guide. The Nikon Aculon rangefinder is a wonderful choice when it comes to budget-friendly equipment’s. It comes with Distant Target Priority, which means if you are hunting in the woods, you’ll be able to focus on the target instead of the bushes blocking your way. However, this feature can go on both ways. Maybe you are hunting in an open environment, and the rangefinder is focusing on the faraway trees instead of your target. But, so far, there hasn’t been any complaints about that, but it’s best to keep in mind. During the years, Nikon ensures a position in the market among the top competitors in this niche. So, you can be sure that Nikon’s products never fail their customers and you can always trust them. Even though this rangefinder is budget friendly, Nikon did not hold back on the specs. It’s one of the compact ones so far on the market. Let’s take a closer look at the specs and see whether it’s a good catch or not. You could think it as a portable mini monster. Everything is compact within a small size. Nikon Aculon is 3.6” in length and 2.9” in height with 1.5” wide. The company made sure that this rangefinder would be as portable as it can. Without the battery, it weighs just 4.4 ounces, so it’s pretty lightweight. You won’t even notice that you are carrying it around. So, even if you go for an extended hunting session, this rangefinder won’t make you break a sweat. However, people with larger hands might face a problem. Due to its smaller nature, you might not feel comfortable holding it into your hands for a long period. Holding it steady might be another issue for you. But then again, it all depends on your comfort zone. There isn’t any tripod mount, so you won’t be able to mount it on a tripod and hold it steady. That’s the only downfall so far. With the Nikon Aculon, you will get 6x magnifications to range along with 20mm for the objective lens. As its budget-friendly piece, the magnification range and the objective lens is great. Both the objective lenses have multi-coatings, which means you’ll get a clear view without losing any light. However, the display doesn’t come with illumination, so hunting at nighttime or on the break of dawn might be a bit problematic for you because you won’t be able to see the display clearly. Also, the data is displayed in black color only, so using it in daytime hunting would be your best call. It’s a small set back, but overall Nikon Aculon looks great. With Nikon Aculon you will get a true 550-yard ranging accuracy. OS, it’s going to be a piece of great equipment for hunting mid-range targets. It also offers a scan mode. With this mode, you’ll be able to scan targets for 20 seconds and find out their range easily. The best part is that you can select multiple targets in one shot to measure the distance. So, it really does make your ranging much more effortless. You can also choose a different unit for measuring the distance. Currently, it offers – Meter and Yard units. Do you wear eyeglasses? If so, then I have great news for you. The Aculon rangefinder comes with a solid 18mm eye relief. It’s more than long more you to get a nice field of view. In most cases, hunters with glasses have problems ranging as many rangefinders offer smaller eye reliefs. But Nikon excels in this point with more than sufficient eye relief. Even though you don’t wear glasses, you’ll still be able to enjoy all the feature. Unfortunately, many confuse this rangefinder to be waterproof. However, it’s not waterproof but water resistant. If you are working in a rainy environment, it should be fine, but if you drop it or submerge it in water, I don’t think it can hold up. So, it’s best for hunting sessions on land only. Compensations for angles is essential to measure the distance correctly. However, Aculon does not offer that. If you are targeting your pray from a slop or angled platform you’ll get a slightly off reading. This is something that you need to get used to. Even so, the distance measurement is quite close to accuracy, so it shouldn’t make you miss your pray. Yes, Aculon is equipped with a laser to help you have better accuracy. In most rangefinders, the laser isn’t safe for the eye, but Nikon provided the Class 1 laser for safety purposes. So, you have to worry about damaging your eye in any way. 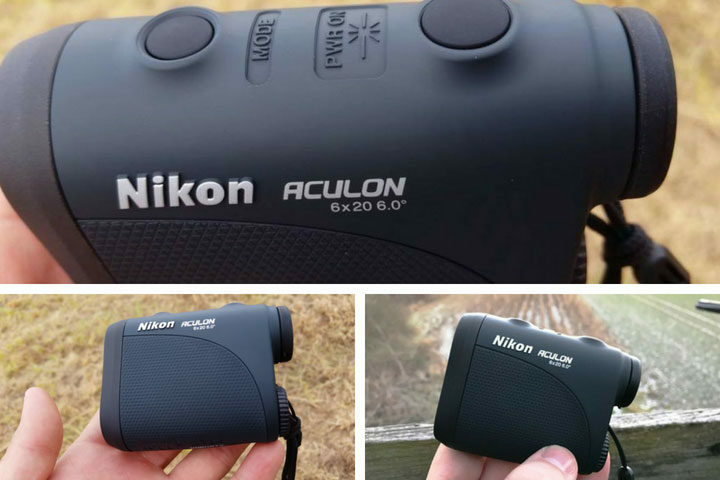 Where Should You Use The Aculon Rangefinder? This rangefinder is perfect for short range to mid-range shooting. So, you can use it in target shooting, bow hunting, and rifle hunting. Shooting in woods would work too, as it has the Distant Priority option. However, if you are a long-range shooter, then it might not be the best hunting buddy for you. Also, it’s not a golf rangefinder; it’s for hunting mainly. With small flaws, this rangefinder can be your next hunting friend. So, what are you waiting for? Give Nikon Aculon AL11 a try and see for yourself!